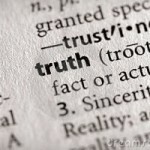 We all wear “the burden of truth” on our shoulders as we write our memoir. The disappointed faces of relatives who disagree or judge us for our writing appear in our imagination, the voices of angry relatives or friends shout at us. Not only do we feel threatened by these problems—sometimes we are tempted to give up writing a memoir because making decisions about writing the truth is just too difficult. If you are going through such struggles, I understand. As I wrote my memoir Don’t Call Me Mother, I decided to leave out some of my darker truths, knowing that the few shreds of family I had left would dispute my testimony or judge me for speaking out—and I wasn’t ready to lose them. But as I began to learn more about sexual abuse in the family, I discovered that some were aware of the danger one person in particular held, but they hadn’t shared it with others. There was a rule of silence which protected the adults, but not the children who were possible victims of abuse. Though I had left out the overt details of my own abuse, in “real life” I confronted that person, only to see him deny and minimize. As I researched the history of the family, I discovered many secrets protected by a code of silence and denial, which is often the case in families. It became clear that a memoirist in my family seemed like a threat. For a while, I grieved to be judged as the “bad truth teller” and rejected, but after that I no longer conflicted about writing the truth. People will react, or not, and we can’t control that. When you write a memoir, it’s inevitable that your story line connects with other family members and friends. Threads of our stories are woven together even when people are not very close emotionally. Often the family holds a belief that it must appear in the “best light,” so family members garner respect and admiration from others. To write stories that show the darker side of human nature breaks the rule of presenting only the best. If you are a memoirist and you have a story to tell about imperfect people, including yourself, you have a dilemma. You know the phrase,” the truth, the whole truth, and nothing but the truth.” But truth is not an absolute, it has shades and layers. For instance, when you start your memoir, you’re aware of what you remember, which is the truth you start out with. Then as you write, you find yourself saying and remembering things that you weren’t aware of earlier, things that surprise and even disturb you—revealing more layers of truth. As you conduct research on the eras of your life or your family history, you discover even more layers of truth you didn’t know before. Perhaps as I did, you discover stories that had been secret or hidden in shame. All of these layers weave in a memoir. We need to make choices: which stories will be put into a scene where the reader has a full emotional experience of them? Or should we narrate some parts of the story, framing the situation or truth carefully, using language that obscures more than reveals? When writing about abuse, we may strive to tell the truth, but find that if the truths we harbor are too boldly written, we feel uncomfortable about publishing that version in our memoir. I teach writers that we DO have choices about how we write about our truths and how much we choose to tell while still writing an authentic memoir. Write it out all the way without holding back. Include everything you know about the situation. To leave something out chips away at the whole truth. Consider your family and friends, and shape your book so it’s comfortable for them and for you. You might want to ask them to read the parts where they appear; get them to sign off on what you included. Use “real” names and don’t be afraid. After all, if they wanted to appear better in your story, they should have made different choices. Don’t use real names—there are legal and ethical issues to consider. Just write what you want and let everyone deal with it as they will. Get your manuscript vetted by a literary attorney if you have questions of legality. With such different advice, what “should” you do? The thing is, no one can decide but you. However, it’s useful to get informed about the legal and ethical issues you may have. Only you can decide how to write certain darker scenes. Read other authors who write about similar subject matter as you do, and see what techniques they may have used. In the National Association of Memoir Writers members’ archives, there are audio recordings that cover some of these topics. 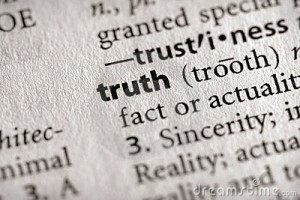 Writing the truth is probably one of the most important topics we cover in our teleseminars. To learn more go to www.namw.org. At the Magic of Memoir Conference in Berkeley, CA Oct. 17-18, I’ll be speaking at the panel THE BOLD TRUTH: The Pros and Cons of Being All the Way Out There with Your Story where we’ll talk about the angles and shades of truth. I just finished reading “Breaking Ground on Your Memoir”. It was a great reminder and provided new ways of approaching the complicated process of condensing some of the more painful pages of my memoir. I made notes on what I needed to consider first, starting with reading it out loud. I recommend the process to every one, we all have a story and it has it’s rewards. I have found the process of writing my story to be devastating, enlightening, liberating, rewarding and at times heart breaking. It was worth every minute and in the process I have learned more about myself and my family. And I have made peace with some of my family members who refused to give me any information that would allow me to find my birth father. Thank you for providing a concise and comprehensive summary of writing memoir. Thank you Mary Lou! I love the adjectives you apply to the process of memoir writing–it is all that and more. Good luck in getting your story done. We really appreciate this, Mary Lou. Thank you and good luck!